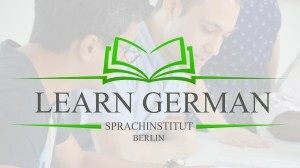 Learn German in Central Berlin. 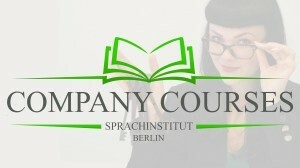 Intensive courses for beginners and advanced participants for work, studies or social purposes. Learn general or business English with our native-language teachers from north America, Australia and the UK. We will support you in reaching your goal! Personalized and individual solutions for companies. We give you an individualized recommendation and overview to structure the learning experience in your team. Reach your goals with enjoyment! Intensive learning in groups of 4-8 participants. 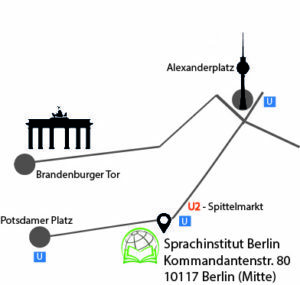 SPRACHINSTITUT BERLIN offers language courses for all levels in German and English. Our focus lies particularly on top-quality education for adults with a professional background. 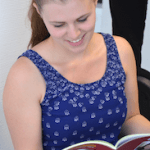 Are you looking for a steady partner, who supports you in learning a new language? 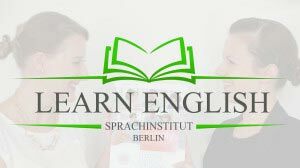 At SPRACHINSTIUT BERLIN you will find high-quality course, experienced teachers and a motivated team. Whether you would like to start learning a new language, develop your business communication skills or simply improve your everyday conversation – we will find the most suitable course for you. In our Sprachinstitut you will make a rapid linguistic progress and achieve your goals in an enjoyable learning atmosphere. Together we form the linguistic basis for your future! We believe in Quality! The individual with his or her personal development is crucial to the learning process, whether an employee, teacher or customer. We want to learn from each other and be successful together. Замечательно организованные курсы с индивидуальным подходом и помощью каждому ученику. Bedankt voor de goede sollicitatie cursus. Ik vond het erg interessant en de tips waren zeer bruikbaar. Ik heb binnen vrij snelle tijd een nieuwe baan gevonden. Dank u wel! Ich habe mich sehr wohl gefühlt und wurde gut informiert. Sehr freundliches Umfeld und professionelles auftreten. In allem also sehr gut! 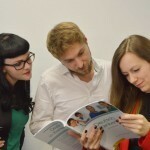 Ein extrem freundliches Team, nette und gut ausgebildete Mitarbeiter, danke für den Business English Kurs.